After 11 years in Formula One and two Formula One World Championships Mika Hakkinen will take a break following the end of the 2001 season to allow him to dedicate more time to family life. RON DENNIS:'Mika has been a part of the team for nine years and after 159 races, 26 pole positions and 19 race wins, he decided that he wanted a break. Mika has always done an incredible job for us and now is not the time to be bidding him farewell. Whilst we have had a range of interesting options for 2002 we are very pleased to announce our driver line-up with David, Kimi and Alex. NORBERT HAUG:'Today is a day with mixed emotions. 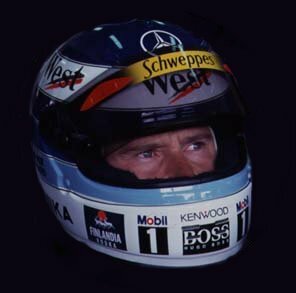 Mercedes-Benz has a great relationship with Mika and he is a valued member of the family and not only because he has won two World Championships with West McLaren Mercedes. We have a lot of memories together and we want to thank Mika for all he has done for Mercedes-Benz and West McLaren Mercedes. you can navigate through the site without missing anything.